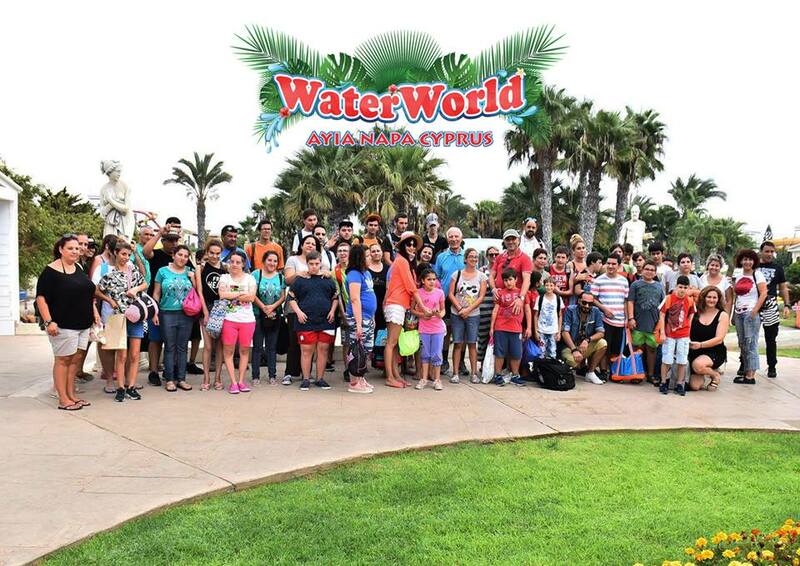 WaterWorld Waterpark had the privilege to host a group of very special visitors from Larnaca’s Agios Spyridonas School. The group of 60 from the acclaimed special needs school visited last week to enjoy a day of fun in the sun under the care of the amazing teachers who nurture their students at this special facility. The children, aged between 4 and 21, took the short journey from Larnaca to Ayia Napa on October 9 with the supervising staff that accompanied them. WaterWorld Waterpark understands that leisure activities like a day of fun at the waterpark are vital for young people with disabilities as they allow them to experience the physical, emotional and social benefits many other people of the same age take for granted. In addition to enjoying many of the waterpark’s amazing rides the children and their carers were also treated to complimentary dining from the wide selection of delicious food and refreshments available.